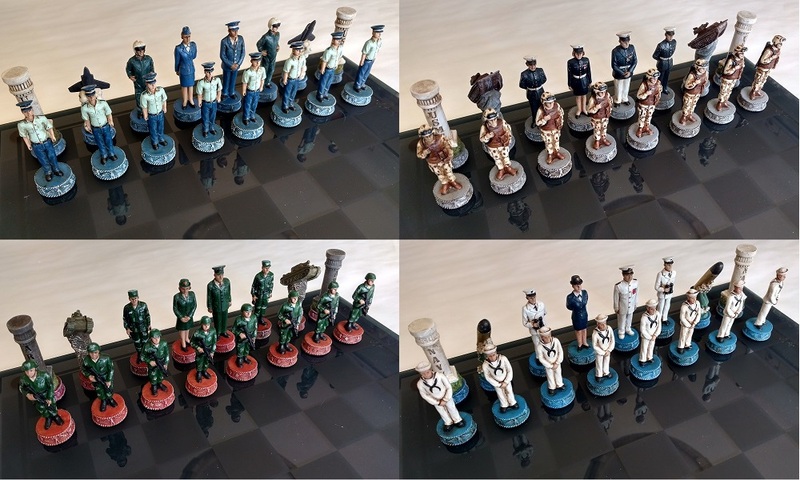 Stage your own battles with this highly detailed four branch chess sets. Mix and match your pieces to take advantage of the best strategic combinations. Available in inventory at $139.95 each.